It's another frigid day, and the Chief Medical Officer of Health has issued a cold weather alert. Here's what that means. Photo by Half my Dad’s age from the Torontoist Flickr Pool. Last winter was exceptionally brutal for Torontonians. February 2015 was the city’s coldest month on record, with the lowest temperature dropping to -25.5 C (-40 C with the wind chill). This explains why 23 days got extreme cold weather alerts. And January 2015 wasn’t much better. Two homeless men were found dead—one inside a bus shelter and the other in an abandoned panel truck—all in less than a 24-hour period. These incidents fuelled protests at City Hall and led Mayor Tory to call on drop-in centres to extend their hours to ensure that no one is left out on the street during days of extreme cold. Trying to inform the public about frigid weather conditions isn’t new. Toronto first implemented its extreme cold weather alert system during the winter of 1996-1997 in response to the increased number of homeless people who needed services. Over the years, the city has maintained this system—alerting Torontonians about when to stay home and bundle up. We spoke with Rajesh Benny, a manager at Toronto Public Health, and he helped us understand how these extreme cold weather alerts function. Photo by AshtonPal from the Torontoist Flickr Pool. What defines an extreme cold weather alert? “The Medical Officer of Health will issue extreme cold weather alerts in the City of Toronto when Environment Canada forecasts that overnight temperatures will reach -15 C or colder,” explains Benny. These kinds of alerts can also be sent out when the wind chill drops to -20 C or below, regardless of temperature. This requires Toronto Public Health to keep a close eye on Environment Canada’s 24-hour weather forecast in order to determine whether or not the city should release an alert. 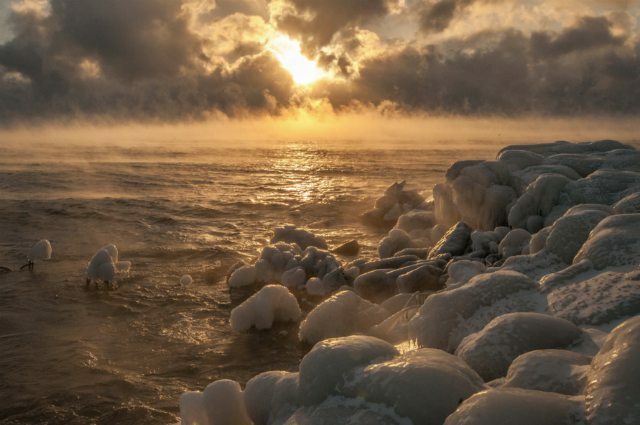 These extreme cold weather alerts can also be issued during warmer temperatures but only when the forecasts include other factors such as strong wind chill, heavy precipitation or during an extended period of cold weather. 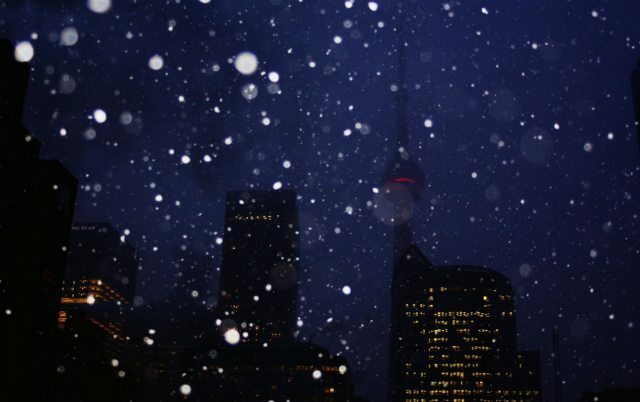 Where can Torontonians hear about extreme cold weather alerts? The City’s Strategic Communications Division sends out media releases to news outlets when it issues the alert. Residents can also stay informed with live updates on the Toronto Public Health and City of Toronto web pages, or follow their social media pages for further information. Worried you’ll miss an alert? You can also receive a direct email notification by calling Toronto Health Connections at 416-338-7600. Torontonians can also call 311 for any cold weather advice or related services. Photo by ~EvidenceE~ from the Torontoist Flickr Pool. What kind of services do these extreme cold weather alerts provide? Toronto Public Health works to target the city’s most vulnerable by offering 24-hour extreme cold weather alert drop-ins, which open at 3 p.m. on the day of the alert and close by noon the day the alert ends. But this year, from January 1 to February 29, the Margaret’s Toronto East drop-in (323 Dundas Street East) and the St-Felix drop-in (25 Augusta Avenue) are set to operate at all times, including non-alert days. Youth aged 16 to 24 looking for a place to stay warm can go to the YMCA of greater Toronto (7 Vanauley Street) which is now also open 24/7 and runs until April 15, 2016. Other shelters throughout the city are instructed to release service restrictions they may have during periods of extreme cold. 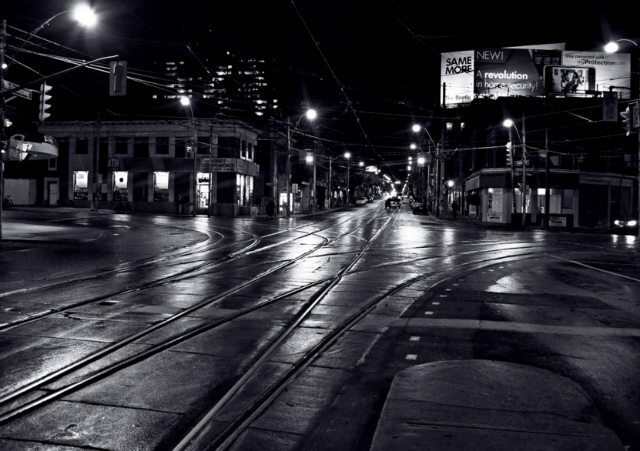 More overnight outreach and transportation services (including TTC tokens at drop-ins) are made available to help the city’s most marginalized and vulnerable find shelter. In addition to these efforts to help the homeless, the city works to provide the public with information regarding the health impacts and risks associated with extreme cold, as well as tips and resources to better protect yourself. What is the Cold Weather Response Plan? Toronto Public Health is responsible for the administration and coordination of the Cold Weather Response Plan, of which the Extreme Cold Weather Alerts are a key element. The goal of this working document is to reduce the harmful health impacts of cold weather through alerting the most vulnerable about the weather conditions and bringing agencies together to provide services and warn residents to take the necessary precautions. This plan goes into effect each year between November 15 and April 15. How many cold weather alerts were issued this year? So far, Toronto’s 2015-2016 winter season has only seen four days of extreme cold weather. The last two winters were particularly bad, with Toronto issuing 39 Extreme Cold Weather Alerts in 2014-2015 and 36 in 2013-2014. In previous years the numbers average in the low- to mid-teens. What tips help during cold weather? Make sure to wear layers and boots. If you’re able to, check in on friends and family, particularly if they live alone, and make sure they have what they need too. By law, tenants have the right to an apartment at at least 21 C during winter. And if you’re driving then try to keep a first aid kit in the car–it could come in handy. Also, make sure that your pets have the warmth they need. If you’re cold, then your furry friends probably are too.